Hello guys... Sorry for the hiatus. I was out for 5 days splurging myself to the blazing heat of Mexico hehehe. I just came back late last night actually early morning today due to my delayed flight and I rushed to my computer as soon as I got home from work. I was able to read all your well written comments and updates. I agree that the first post I did was so congested and might predispose our readers not to read the whole conversation. I decided to open this new topic intended solely to discuss the planning stage on how to rebuild our builder. I strongly believe that what we are now can be attributed much to our basic foundation (everything what we learned from MNHS). Redirect me if I'm wrong but based on some comments I read here plus private messages I received from people, our goal is leaning towards rebuilding as against relocating. Like what I've been saying before if that's what needs to be done as long as it is tangible and backed with experts opinion so be it. I gathered a comfort room is the most pressing concern the students are facing this time. I understand the Mankayan based alumni had been meeting and will still be meeting to finalize their plan. We should be waiting for the final plan of action and we hope the soonest. We salute you for giving much time to this and we truly hope something will come good. 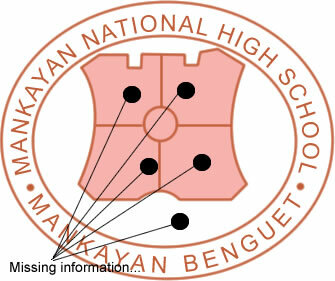 Matago tago tako am-in and God Bless MNHS.